* Dear All, The School Registration Form for admission in academic session 2019-20 are available. It can be downloaded from "Download" section, prescribed on the Website. We, at BDS International School emphasis on experiential learning for the students through the conduction of various activities like debate, extempore , role play, group discussions, science exhibition and many more. Various visits excursions field trips are arranged for the experience learning and exposure for practical knowledge. 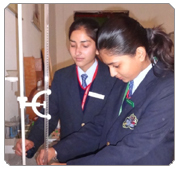 We also maintain well equipped Physics, Chemistry , Biology, Home Science, Maths and computer labs so as to enable students to carve and imbibe their creative,critical and innovative imagination.